A few EAPs asked about EAP posters, so I am using this blog post to explain the product. We give you 18 EAP Posters to start, and instructions to edit the templates we provide with them in MS Word or MS Publisher. The gist: You can create your own EAP Posters forever! The idea is to never buy another EAP poster and use your own great ideas to match the workforce issues and needs you are facing right now. Here is the guarantee: You will witness management in awe over your targeting of key issues from morale to daycare from opioid addiction to stress management. And management will see how your EAP is better than managed care company which could never match the value you offer. This will reduce risk of your program from being given the boot in favor of an #800. Now you can look as relevant as you actually are with the visibility you need, which produces awareness, and more importantly the ability for your program to be remembered! 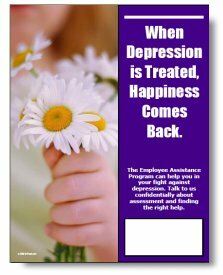 Prompt more referrals with EAP posters and achieve better internal buzz about your employee assistance program (EAP). Click here to jump to the product and download a free FREE EAP POSTER. If you want two, just email me. Imagine creating your own workplace EAP posters or safety posters. Yes, you can use them for safety messages too. Why not? your organization's risk management strategy. EAP posters can deliver a laser sharp message on a specific topic or concern. This is what makes this product so powerful. 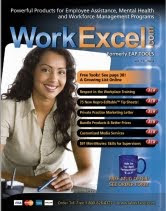 Tackle topics like holiday stress, down-sizing, organizational change, summer accident prevention, going back to school, diversity awareness, alcohol awareness month--are you getting the point about how powerful this product actually is? Your ideas are the limit. Make new posters appear refreshed all over the organization. 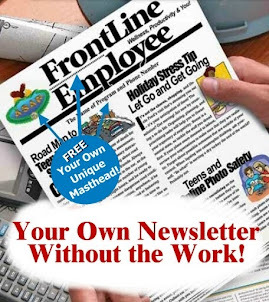 We do not know of a more powerful EAP strategy to create top of mind visibility than our poster kit, except for FrontLine Employee newsletter. You know how hard it is to find new EAP posters. They are often too general. And you can't reproduce anything out there for sale. You must buy the posters one at a time. This is not a good thing. The truth is--your ideas are better than the publisher of such a product, including us! So, the best way to go is to make your own. Come up with awesome ideas among your staff and put them into action. Have a contest that creates buzz for your program. In fact, have employees in the organization join in. The EAP poster kit solves the problem of refreshing your EAP's visibility. 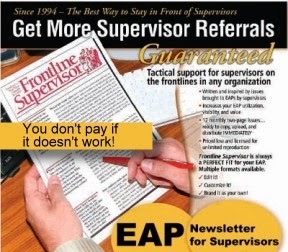 It will increase your EAP referrals guaranteed. It will also help you reduce risk and remind everyone of your program's relevance to the organization. Other ideas: conflict resolution, family issues, fixing absenteeism issues, couples conflicts, worry and concerns over job security, improving relationships with the boss....any of these problems could lead to referrals of your riskiest employees. –Did you know you that you can get free photos with no copyright restrictions from www.pixabay.com or even google if you select "no copyright restrictions" on their images. Call me to learn about this. It is difficult in text, but here is screen shot. That's how much we paid for this cute dog you see shown in the free download here. You know your workplace best, and you are in the best position to know what employees will look at, read, and pay attention to. You can't buy posters for your specific workplace--you must create them. This is the only poster kit America for EAPs that let's you do exactly that. After creating an EAP poster, email the PDF to locations of your host company. Get the names of few contacts, and ask these individuals to help you put the poster up in strategic locations you've identified. To make it stiffer, simply put a card stock behind it and you are done! If you are a consultant, safety services firm, or other provider of safety products, you now have the ability to create workplace safety posters for customers, make a PDF, print it, email it, and then get it up fast. Here's an example to keep employees from jumping off a loading dock that one company created. Can you see how a really specific safety posters can make a point and reduce risk, save thousands of dollars, and lost work time? What more can we say about this product? 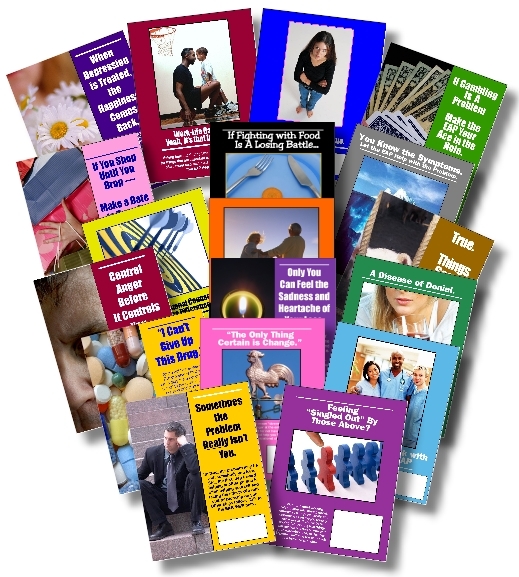 We give you 18 EAP posters right away. Each one is editable. Simply edit the content on go. Phone me to make this purchase at 1-800-626-4327 to request this kit now. I will give the link to download it and invoice you later -- no problem. Fake IDs and Parenting: What's to Know?